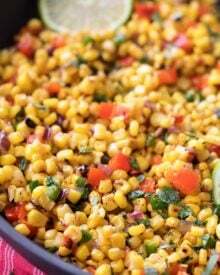 The most amazing corn salad, full of bold Southwest flavors! 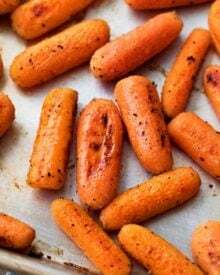 Perfect as a side dish, appetizer, or topping for tacos! We discussed my love of Mexican food last week on this post, and trust me, it doesn’t stop with just entrees. Ohhhhh no. 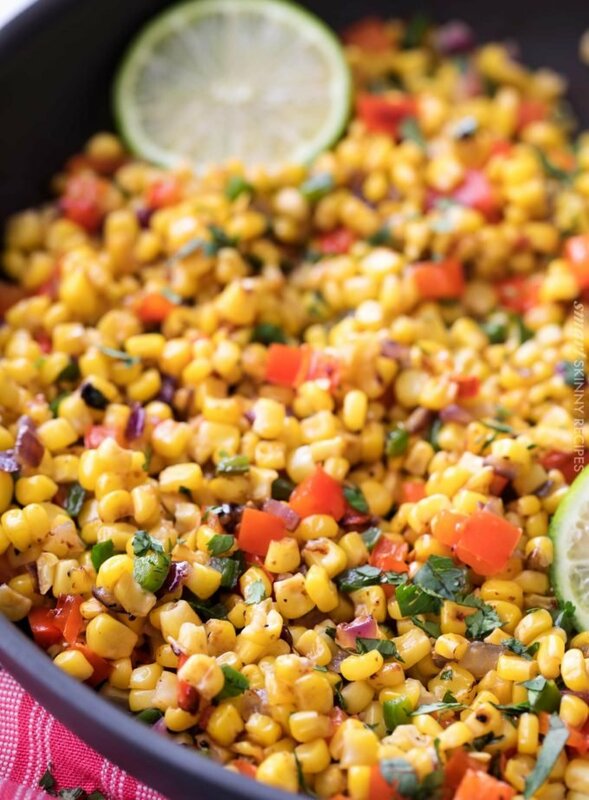 One of my favorite things to add to my tacos is corn, and why have just plain corn when you can have this amazing cilantro lime corn salad! When I first saw that corn was a zero point food on the freestyle weight watchers program, I was ecstatic. It’s so naturally sweet, and was always higher in points on the older plans. There are so many varieties of corn salad out there. Some are mayo based, and have cheese like a Mexican street corn type. 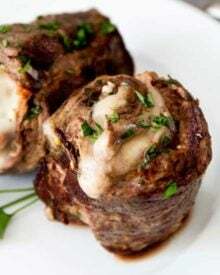 This version is fresher and more Santa fe or Southwest-inspired, with no mayo or cheese… just vegetables browned lightly in a skillet and tossed with cilantro and lime. This version is! It’s zero smart points, and only 121 calories per serving. Not to mention it’s low in sodium and a good source of potassium and vitamin c. To bulk up the salad even more, without adding any points, add some drained and rinsed black beans! It’s really very easy! Just brown the veggies in a skillet, season and toss with cilantro and lime juice. Voila!! I use frozen corn (that’s been thawed) in the Fall and Winter months, but when the sweet summer corn is in season… I absolutely use fresh. Just shuck the cob and use a knife to slice the kernels off the cob. On this post I explain, and show, how I do that without having the kernels get absolutely everywhere! Also, jalapenos are great in this corn salad recipe, but another great option is a large poblano pepper. 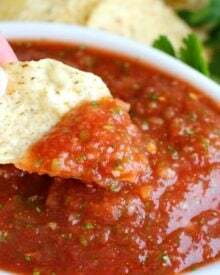 It’s a more mild flavor, so it’s a great option for those that don’t like any heat. 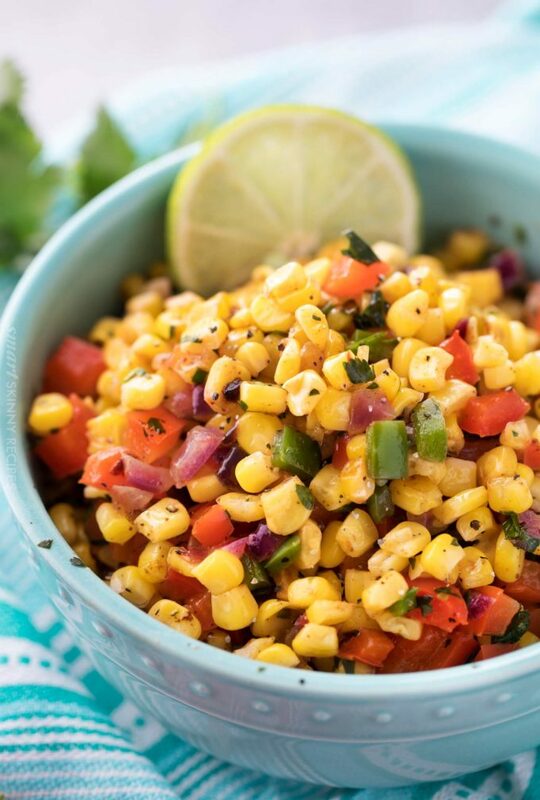 For your next taco night, I really hope you give this Southwest Cilantro Lime Corn Salad a try! Cast Iron Skillet – my favorite skillet to sear things in! 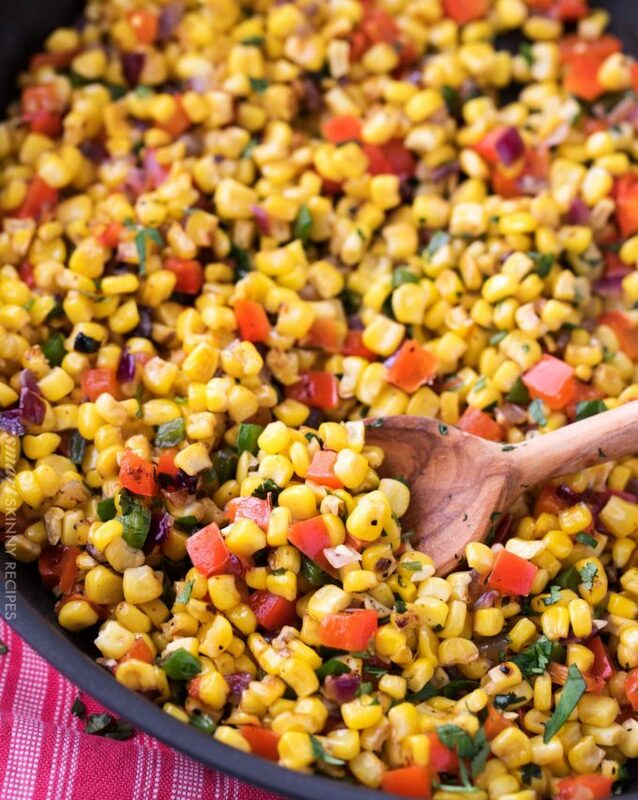 Want to try this Southwest Corn Salad? PIN IT to your SIDE DISHES or HEALTHY board to save for later! Heat a 12 inch skillet (cast iron works beautifully here) over MED HIGH heat. Add olive oil and heat through. Add corn, bell pepper, jalapeno, and onion. Cook, stirring occasionally, about 8 minutes, until lightly golden brown. 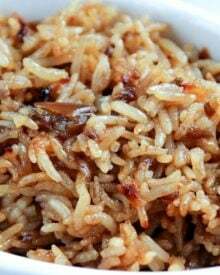 Season with salt and pepper and stir in cilantro and lime juice.Serving size is approximately 1/2 - 2/3 cup. Serving size is approximately 1/2 - 2/3 cup. Yes, but I would add the cilantro before serving to keep it nice and fresh. Is this meant to be served warm or chilled? Made this last night and it is absolutely delicious! I added a little extra lime because my family really likes lime but I tasted it before adding the lime and it is delicious as is! We will be making this again! 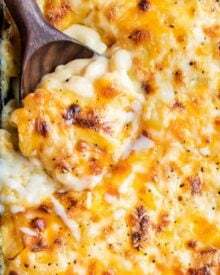 Delish crowd pleaser for holiday gathering! 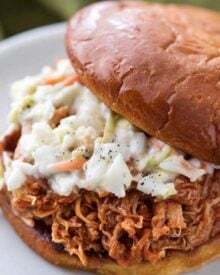 This zingy salad made the perfect side dish with barbecue pulled pork & brisket for a family who shuns coleslaw. Everyone gave it thumbs up! 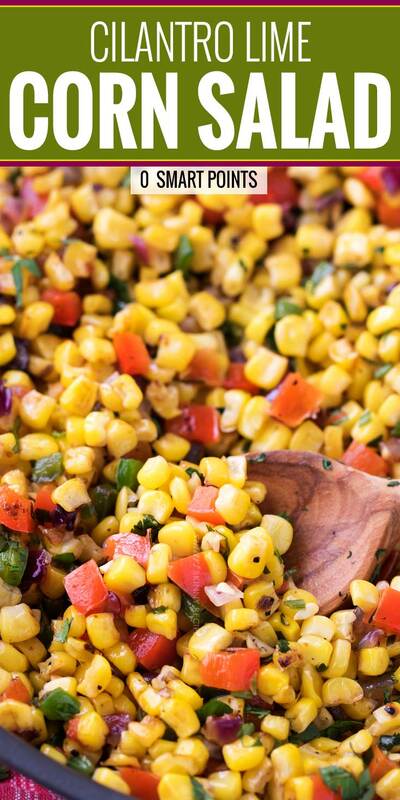 I love the combo of cilantro and corn in a salad! Such a gorgeous salad! Love this! Definitely must try! What a perfect summer side dish! Yum! Yum, looks so flavorful and perfect for Summer! This is the perfect side for all those summer BBQs! Beautiful salad!! I love how fresh it is with so many pretty colors. 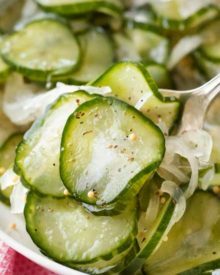 Perfect as a summer side dish! Love all the fresh ingredients in this salad! 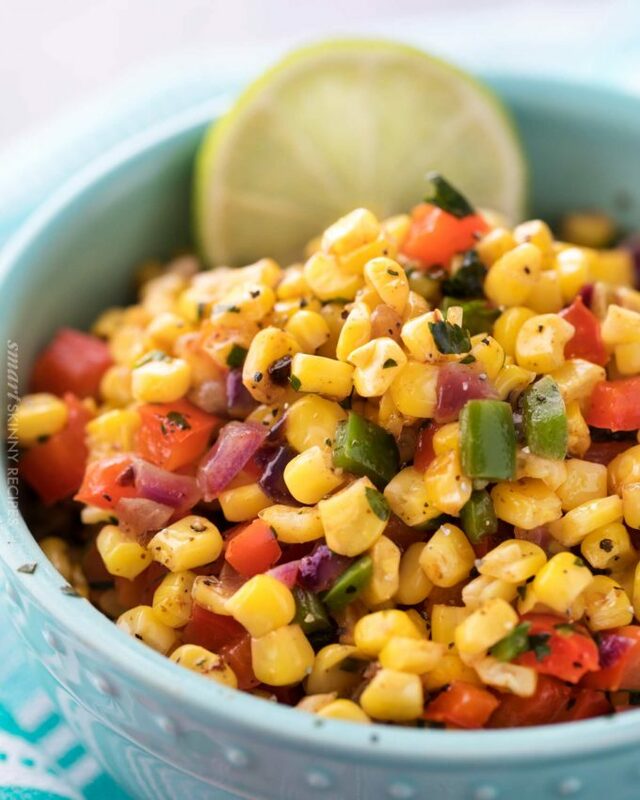 Mmmm….This Southwest Cilantro Lime Corn Salad was absolutely delicious! I love the addition of minced jalapenos and a generous squeeze of fresh lime. It really brings out the Mexican flavor of this tasty colorful dish!